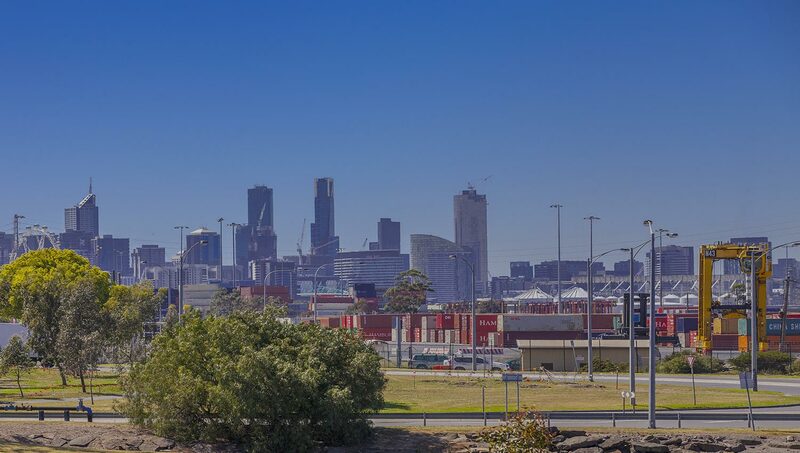 Just 800 meters from Melbourne’s waterfront, we pride ourselves on providing the quick and reliable distribution of containers to all metropolitan areas. Our warehouse in Brooklyn offers secure and practical storage solutions including warehousing, unpacking/packing and the distribution of goods. Not a full container load? No problem. Coynes can pick up and deliver goods that are less than a container load to and from LCL depots in the Melbourne metro area. 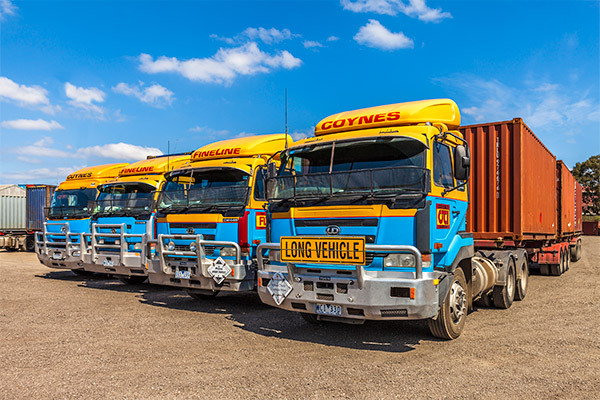 COYNES, located just 800 metres from Melbourne’ s waterfront, controls a fleet of more than 70 trucks, ranging in size from Super B combinations to Tandem Tautliners. Our client base includes not only direct accounts, but a large number of freight forwarders and customs agents. 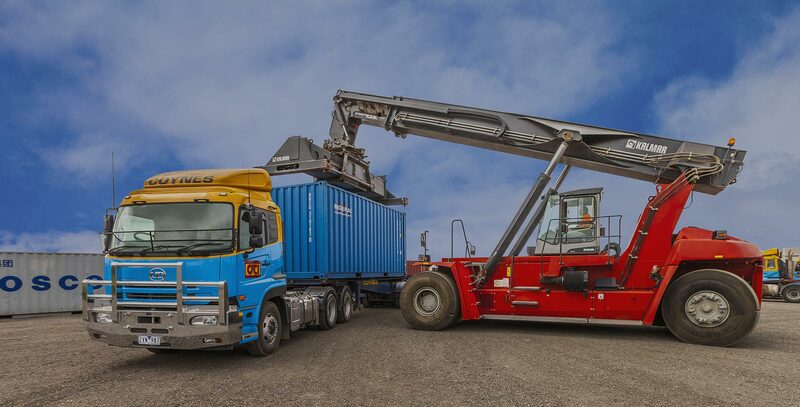 From humble beginnings of delivering newspapers and periodicals, Coynes Freight Management Group, is proudly one of Melbourne’s leading family-owned independent transport companies specialising in wharf container cartage. Formed in 1950 by Neville Coyne and his father W.R (Bob) Coyne the business is now headed by Neville’s sons, Kevin (Managing Director) and Chris (Director of Finance). COYNES does not have a freight forwarding division. Customs agents and freight forwarders can focus on the core provision of their services knowing that they can trust Coynes with the delivery and transport of their clients’ goods. With more than 70 vehicles available, our modern fleet also includes an extensive range of equipment on site that can cater for our clients needs. They range from: Super B combinations; B Doubles; prime movers; tandem tautliners; sideloaders; trailers and forklifts. Our modern fleet allows us to collect, transport, deliver and pack/unpack your goods quickly and efficiently. We embrace your need for quick and accurate information about your goods. 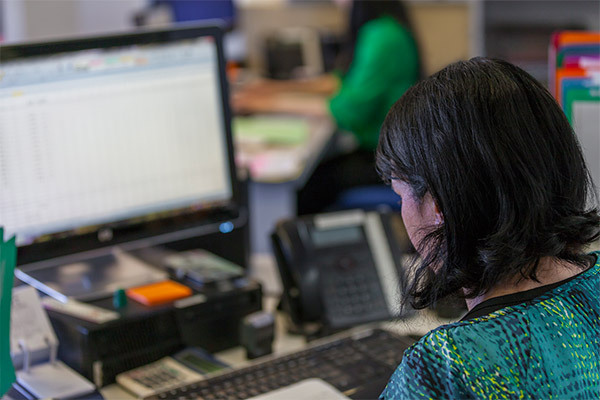 Our technology gives our customers peace of mind by providing them with the details they need. Our systems ensure transparency at all times. When we work with a client, we enter into an agreement of honesty and respect. Coynes opened for business in 1950. We are one of only a few family-owned and operated transport companies that continues it strong presence on Melbourne’s waterfront. 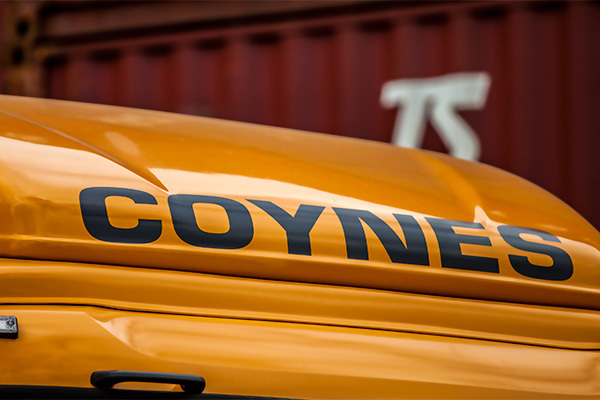 Coynes has grown from a fleet of two vehicles to more than 60 and has a staff of more than 70. We strive to grow and evolve our business. People who work at Coynes, stay at Coynes. Many of our employees have been with us for more than 20 years – that’s experience we value. Our independence and size allows us to respond and adapt to the ever-changing needs of our clients fast. We provide solutions. Coynes is a major force in the Victorian Transport Industry, specialising in wharf cartage and general container handling.